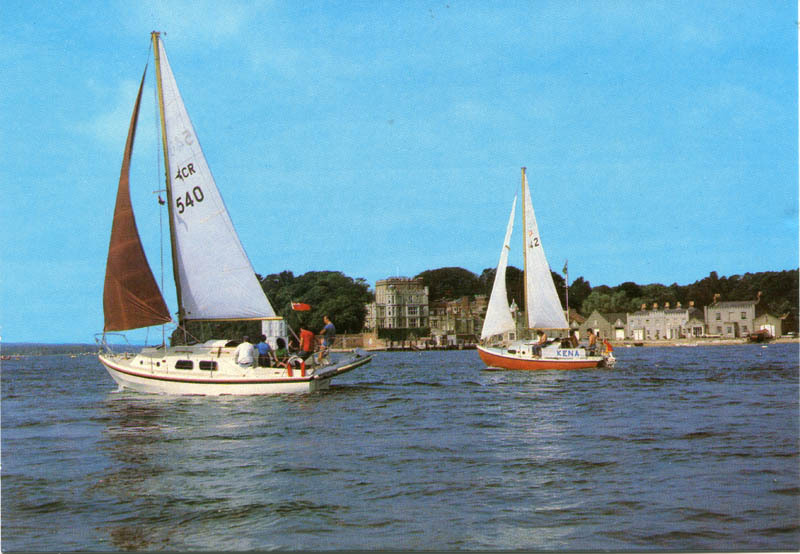 Postcard showing yachts sailing in front of Brownsea Castle. Postcard, J. Salmon Ltd., Sevenoaks. From the Andrew Hawkes collection. For commercial use please contact the copyright holder.